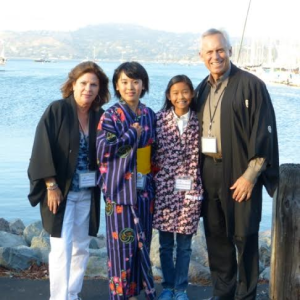 Host Families – Sausalito Sister Cities, Inc. Apply to be a host family. This is our year to host delegates from Sakaide, with the added excitement that this will be the 30th anniversary of hosting delegates between the two cities. As a result, there will be lots of added features to this summer’s delegate program, and we’d love you to be part of it. The hosting dates are Thursday, July 26 to Sunday, August 5. Applications and supporting documentation for this year’s hosting are provided below. Applications are due April 1, 2018. Thank you for your interest in being a Sausalito host family. Below are the steps to complete in order to be a host family. If you have any questions please contact one of our co-chairs for the program: Carole Garcia, 415-497-5620 or E.V. Gilbreath, 415-332-2282. Please provide your email address where you would like to have the application and related documents sent. Alternatively, you can contact Carole Garcia or EV Gilbreath for more details at the contact information provided on the website. Please note that we do not use your email for marketing or any other purposes. Can our student share a room with our children? Who are the students? Can I choose who I’m paired with? How long will our student stay with us? Who sets the rules for my student at home? 1) Who is eligible to host? a. Ideal hosts are flexible and open-minded. 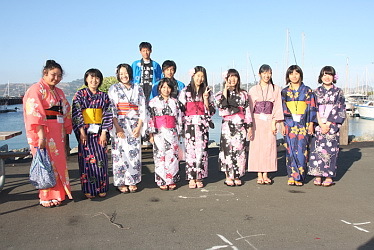 They want to introduce their families to new customs and cultures as well as share their own with a Japanese student or teacher. b. They represent a diverse cross-section of the American population: varied economic, racial, ethnic, religious backgrounds. They can be families with children, empty nesters, single parents or grandparents. c. Families with students and educators in the household are particularly encouraged to apply, though this is not a requirement to host. d. Members of the family should have an interest in international exchange and hosting a student from Japan. 2) What is required of a host? a. Hosts will provide patience, open communication and support to their student. b. An ideal host family will include their student in their lives and invite the student to participate in their everyday experiences and events like birthdays, a family hike or a neighborhood dinner. c. They will provide breakfast each morning and dinner on nights in the home. Lunch is provided by the program on weekdays. d. Hosts will ensure their student arrives at the “home base” site (Sausalito Parks and Rec) each day between 8:30am and 9:00am and pick them up between 5:00pm and 5:30pm each weekday of the program when there is no programmed event. Please make a note in your application if the drop off or pick up time is the only barrier to your hosting, and a Sister City committee member will follow up with you directly. 3) Can our student share a room with our children? a. Yes, they can share a room with a student of a similar age and of the same gender. b. The student must have their own bed (no convertible or temporary beds). 4) Who are the students? Can I choose who we’re paired with? a. Students go through an application and interview process and are chosen based on their interest in travel and cultural exchange and desire to explore the world. Our selection committee is provided a profile of each delegate and this is used to match with the host families. b. Hosts cannot choose their students, however, we will use the information provided in both your and the students’ applications to make the best-suited matches. 5) How long will our student stay with us? a. The hosting dates will be July 24th – Aug. 3rd. Each weekday the student will be participating in group activities and will return to your home in the evening. (approx. 9am-5pm) Some evenings have programmed activities. 6) What happens on weekends? a. There are scheduled events on weekends, but you will have one full day to be with your delegate. You can take them on a hike to Mt. Tam, or on a ferry ride across the Bay. Include them in a family event, go to a sports game; this is your free time to get to know your student and share your family, city and culture! 7) What is my financial obligation? a. You will be responsible for providing breakfast and a few dinners for your student. Lunch will be provided by the program. b. You do not need to provide any additional money for the student. You will be asked to give the student a gift upon arrival and a gift for the delegate to take home to their family. These gifts generally are small easy to pack items in the $10-$20 range. 8) Will my student speak English? a. All students will have a level of English that allows them to successfully participate in the program. They will not necessarily be fluent, but this is an opportunity for them to practice and improve their English skills. Chaperones in the program will have a higher level of English proficiency. 9) Can I host more than one student? a. Yes! Please indicate on your application if you’re interested and able to host more than one student. It can be a unique and fun experience for both host and students to have multiple exchange students in the home. 10) What do I do if there is a problem? a. Sister City members will be available by phone and email 24/7. We can provide support regarding adjustment and cultural differences, translations and will manage any problems or issues that might arise. 11) Who sets the rules for my student at home? a. Students will be given extensive briefings on culture and living with a host family. They will also sign a standard agreement whereby they commit to following all program rules and refrain from consuming alcohol or tobacco. The student knows they will be expected to follow your household rules and curfews. During the orientation for host families, we will go over setting clear ground rules from the start and managing cultural differences.